Situated in Warrenheip, this apartment building is within 6 mi (10 km) of Eureka Aquatic Center, Sovereign Hill, and Eureka Hall. Museum of Australian Democracy at Eureka and Ballarat Wildlife Park are also within 6 mi (10 km). Situated in Warrenheip, this motel is within 3 mi (5 km) of Eureka Aquatic Center, Eureka Hall, and Museum of Australian Democracy at Eureka. Ballarat Wildlife Park is 2.7 mi (4.4 km) away. Situated in a rural location, this spa hotel is within a 15-minute walk of Gold Museum and Sovereign Hill. Lake Esmond and Lake Esmond Botanical Garden are also within 15 minutes. 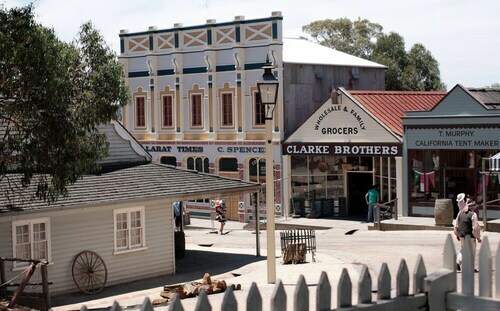 Situated in Golden Point (Ballarat), this hotel is within a 10-minute walk of Gold Museum and Sovereign Hill. Lake Esmond and Lake Esmond Botanical Garden are also within 1 mi (2 km). Planning a trip to Warrenheip? There are just 7 accommodations options within 5 kilometres of the town centre. 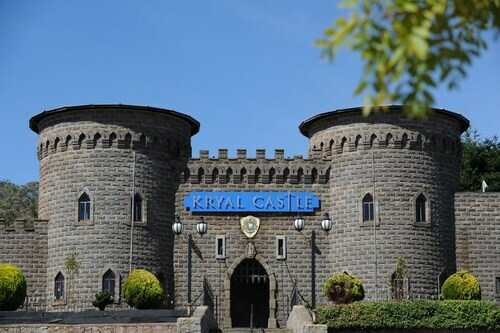 Wotif recommends looking at the Kryal Castle and Ballarat Colonial Motor Inn & Apartments if you'd like to stay close to the main streets. If you find yourself requiring more options in Warrenheip, try the Peppers Mineral Springs Hotel and the Craig's Royal Hotel. They are located 35 kilometres and 6 kilometres away from the center. Wotif also suggests the Hotel Frangos and the Hepburn at Hepburn. The first is 30 kilometres away from town, while the other is 35 kilometres away. Thinking you'd like to venture a bit further afield? You've picked the right place! Victoria features many other things to see and do. Photograph Victoria's rivers and mountains. In addition, you should head to a selection of the area's history museums, art galleries and open-air museums. Or spend some time snowboarding and skiing. 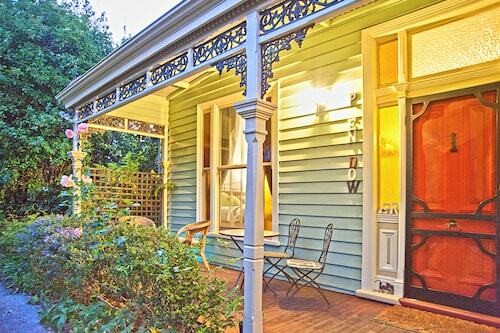 If you'd like to explore some close by cities, consider Delacombe and Creswick. Journey 11 kilometres to the west from Warrenheip and you'll find Delacombe. Alternatively, Creswick is 17 kilometres to the north. 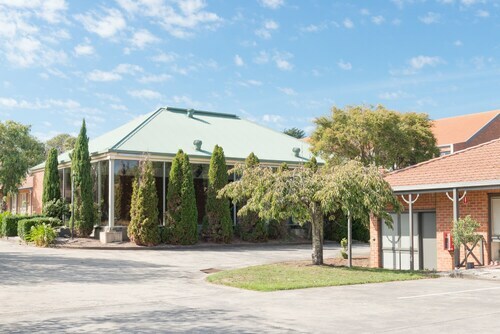 Accommodations in Delacombe include the Lake Wendouree Luxury Apartments on Webster and Lake Inn Ballarat. Creswick choices are The Sebel Creswick Forest Resort and RACV Goldfields Resort. If you like sports and want to watch local games, you might choose to visit Kardinia Park, which can be found to the southeast of Warrenheip. 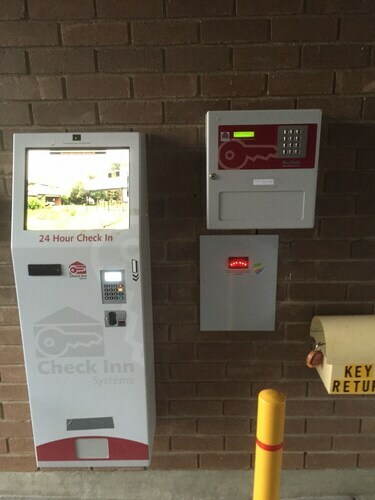 To kick your heels up nearby, secure a room at the Quest Geelong or the Comfort Inn Eastern Sands. Tullamarine Airport is located 80 kilometres from the centre of Warrenheip. 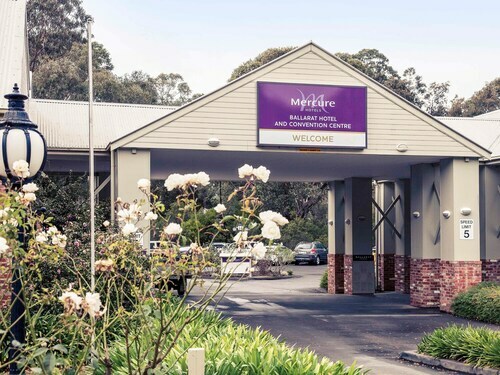 If you wish to stay close by, you can book a night at the PARKROYAL Melbourne Airport or the Holiday Inn Melbourne Airport. How Much is a Hotel Room in Warrenheip? Hotels in Warrenheip start at AU$91 per night. Prices and availability subject to change. Additional terms may apply. An old type motel that was in excellent condition and refurbished. Staff friendly and would stay there again! Fantastic couple of days with the family... my 3.5yo twin sons wee mesmerised by the fact that they were sleeping in a castle next to the dragons! Friendly and welcoming staff always asking if they can help you with anything. The room although quaint was more than comfortable and most importantly clean and neat. The only very minor thing that would’ve been helpful would be having a dining option on site for dinner.